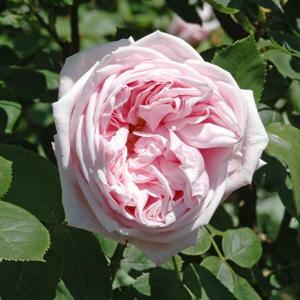 Hybrid Perpetual shrub rose with large, fully double, soft pale pink scented flowers. Repeat flowering and sturdy habit. Fertile, moist, well drained soil in an open sunny position. Will tolerate poor soils. Introduced in 1893 by George Paul.